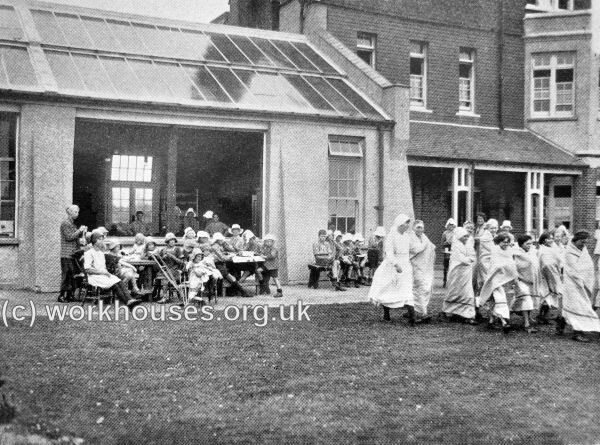 The Millfield Seaside Home (later Millfield Hospital) was seaside sanatorium for the treatment of up to 120 children suffering from pulmonary tuberculosis operated by the Metropolitan Asylums Board. 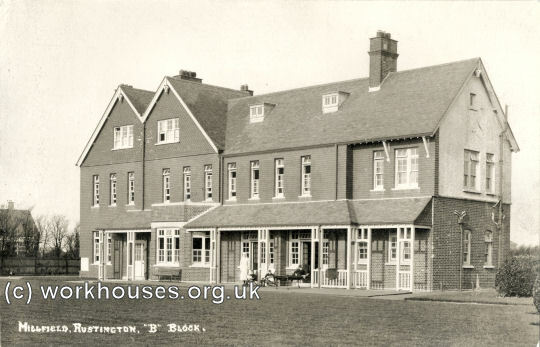 It opened on 6th April, 1904, and was located at Rustington near Littlehampton in Sussex. The site location and layout are shown on the 1912 map below. 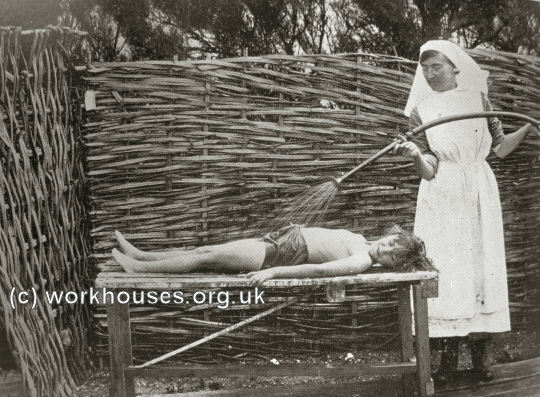 Treatments provided included sea-bathing and balneo-therapy (a form of hydrotherapy). 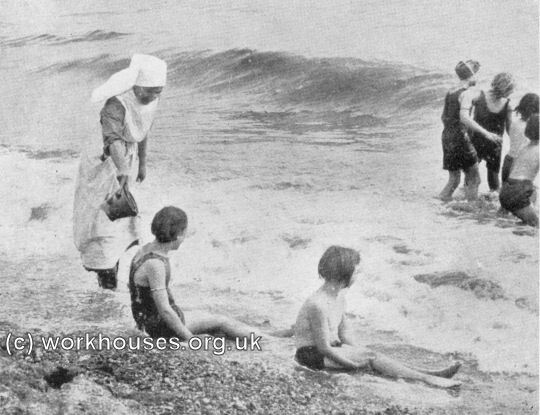 Millfield Seaside Home from the south-east, c.1920s. The westernmost building was known as "B" Block. 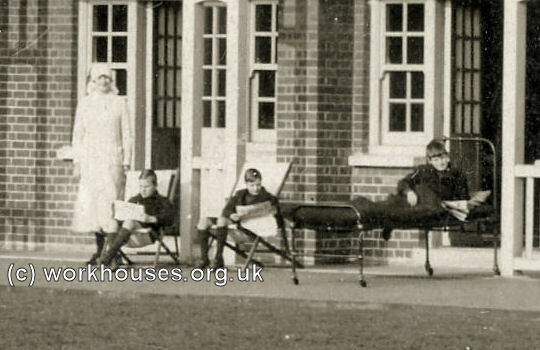 Millfield Seaside Home "B" Block from the south-east, c.1926. Millfield - a group off to sea-bathe, c.1926. In 1930, control of the Home passed to the London County Council. 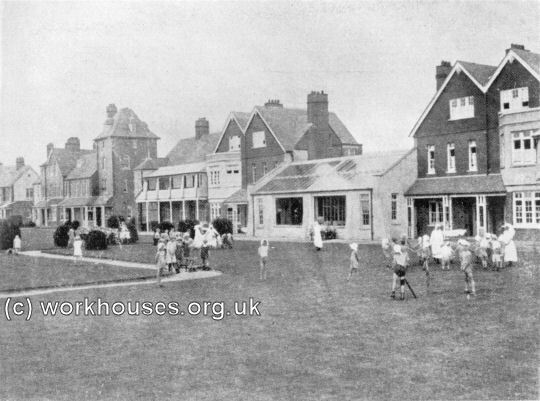 It closed in 1948 and the site is now a housing estate.